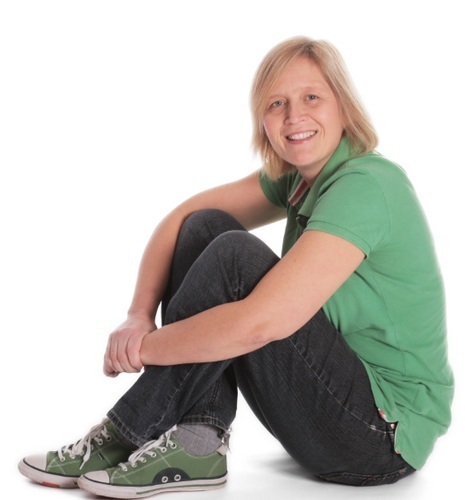 Hi, I'm Jo Royal - I'm an Assistant Pastor in Basingstoke and I love to drink tea, wear Converse and blog! I also love good conversations and often spend a fair amount of time reflecting on the conversations long after they are finished! It is this reflection that led me to the following thoughts that I would like to share with you about Strong Women. Last week, this statement cropped up in three separate conversations regarding different women. Strong women. And each time, I cringed. I used to be a 'strong' woman. I lifted weights at the gym regularly, practiced Judo weekly, and had a pretty good success rate with arm wrestling. There's nothing wrong with being a strong woman. But, this wasn't what they meant, was it? No, the focus of their strength had nothing to do with their muscles, but their character. Therefore, a strong character can simply be defined as someone with the ability to respond with strength in all circumstances. To remain constant and strong in a world crazed with uncertainty, inconsistency, and irrationality. A strong character is needed if we are to effectively navigate life's experiences. If this is the understanding of a strong character, then why does the phrase so often get spat out with disdain and caution when specifically referring to women? The term 'strong' when referring to the character of a woman, often carries quite a distinct interpretation. But only of a woman. Very rarely does the phrase get used when describing a man. And if it does, then it is usually referred to as a positive character trait. Is strength in a man a virtue, but strength in a woman a vice? Is it good that a man displays strength, but a woman conceals it? Is this what God ordained? Did he create men to have strong character and women to be weak? Can we read only of strong male characters in the Bible? What of Deborah? The prophetess and judge who had to know her own (or God's) mind and speak it. What of Mary? (Click here to see a Partakers study concerning her!) Who chose to go against the cultural norms of the day, and engage in something she (rightly) saw as more important. And what of Jael? (Click here to see a Partakers study concerning her!) Who took matters into her own hands, confidently driving a tent peg through the head of an enemy. And Biblical women weren't strong? Shouldn't all Christians, whether male or female, aspire to have a strong character? A character that allows them to follow the will of God, speak on his behalf, and love and forgive in a culture that exemplifies the opposite? Shouldn't all Christians, whether male or female, demonstrate strength of character that comes from knowing who we were created to be? Shouldn't all Christians, whether male or female, be encouraged to speak up, and not shut up? Shouldn't a strong character in all Christians be celebrated and not shunned or frowned upon? Yes, even when that strength is embodied in a woman. And if the idea of this makes you feel uncomfortable, perhaps you ought to ask yourself why. please do prayerfully consider making a donation.